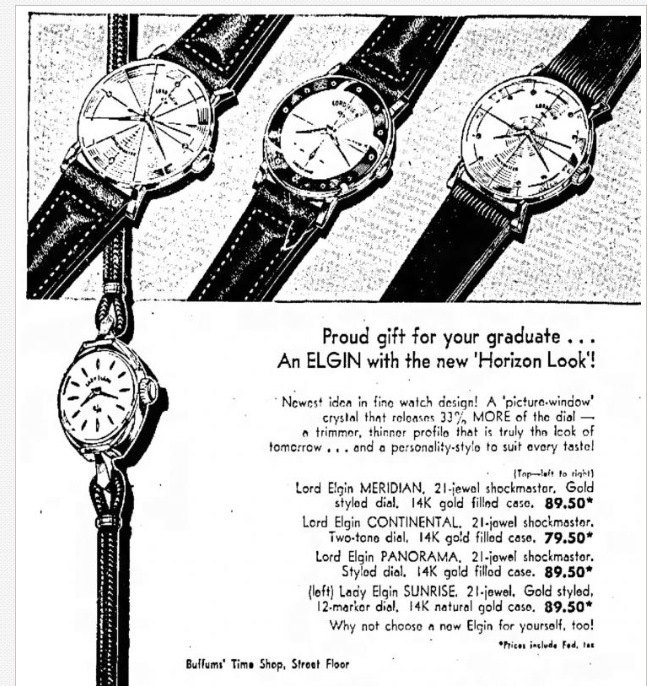 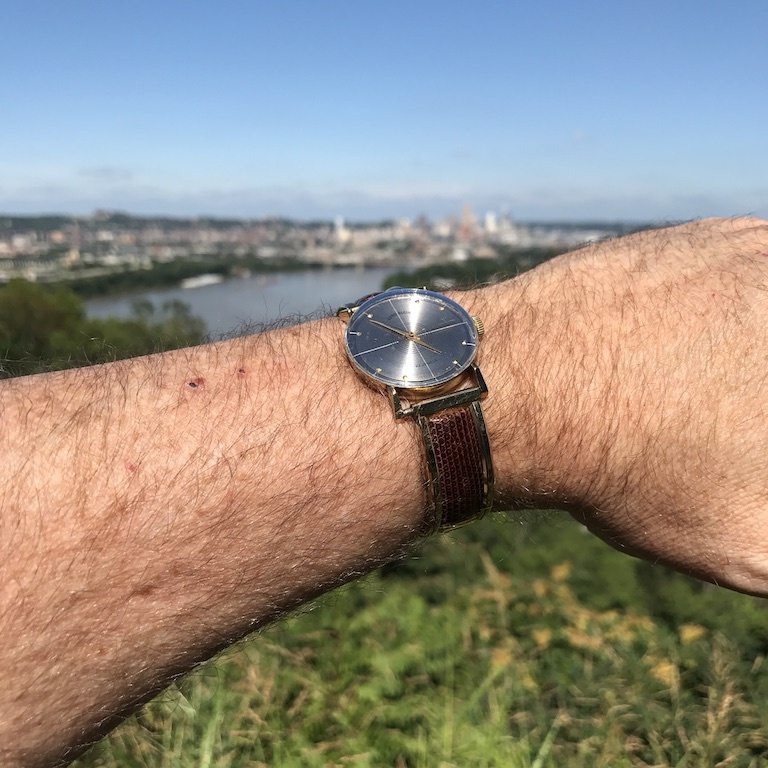 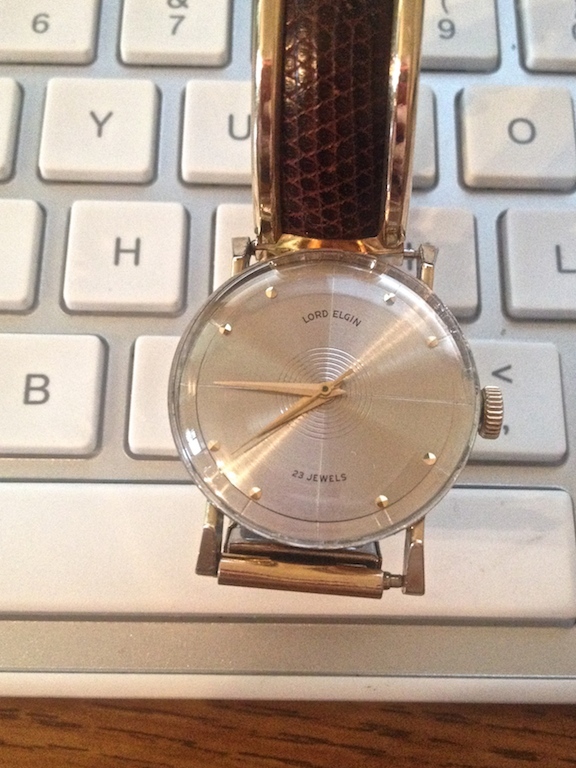 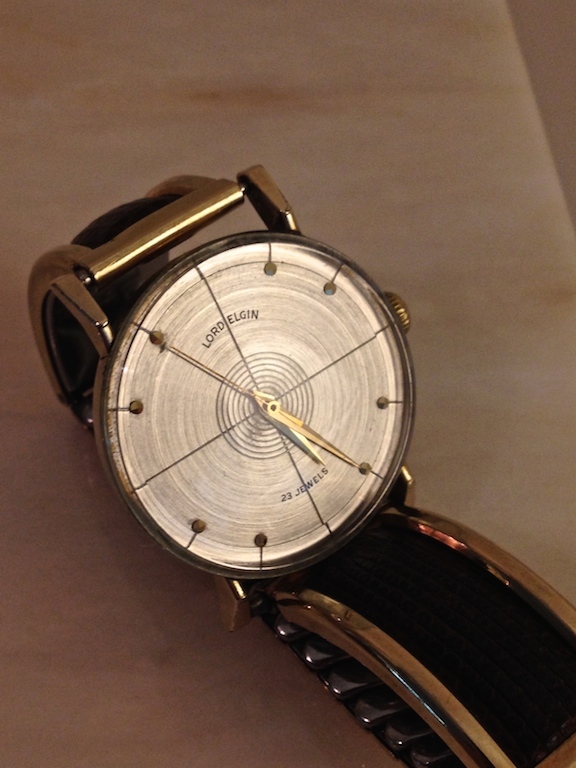 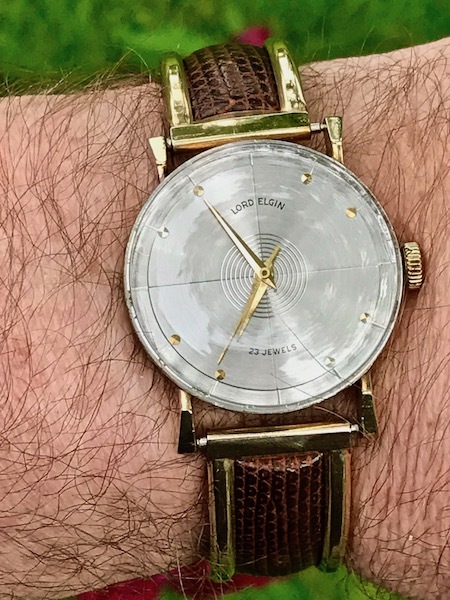 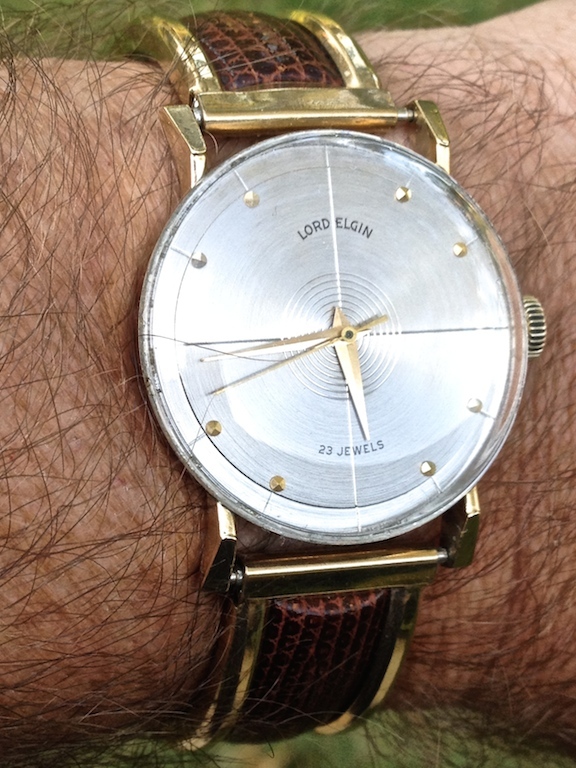 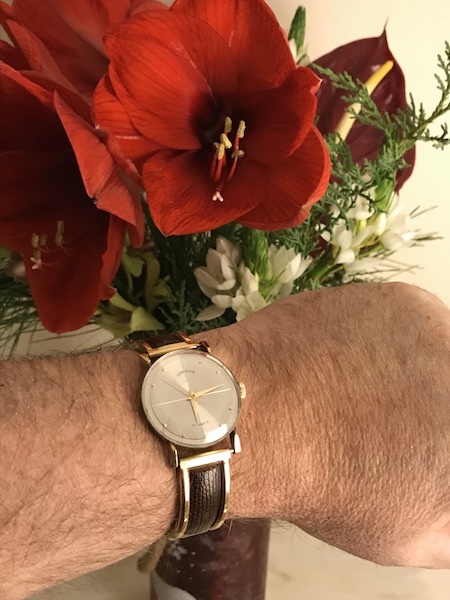 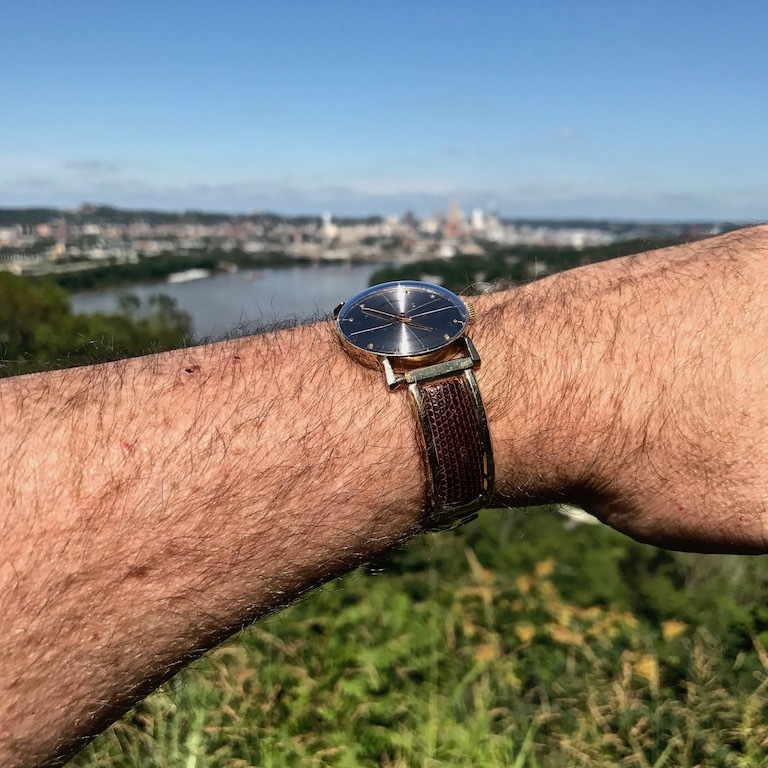 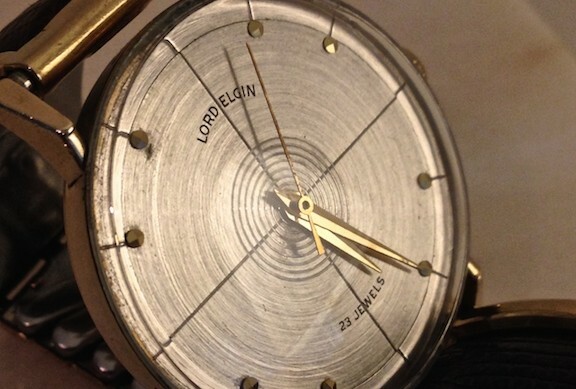 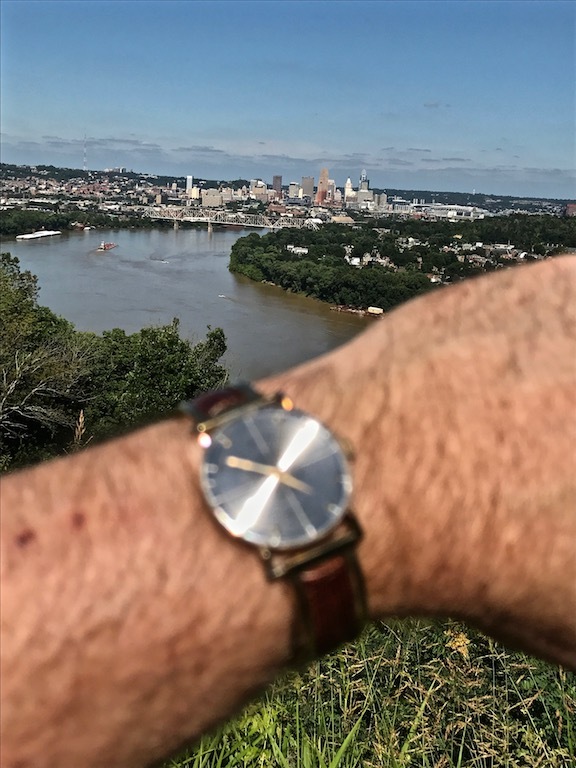 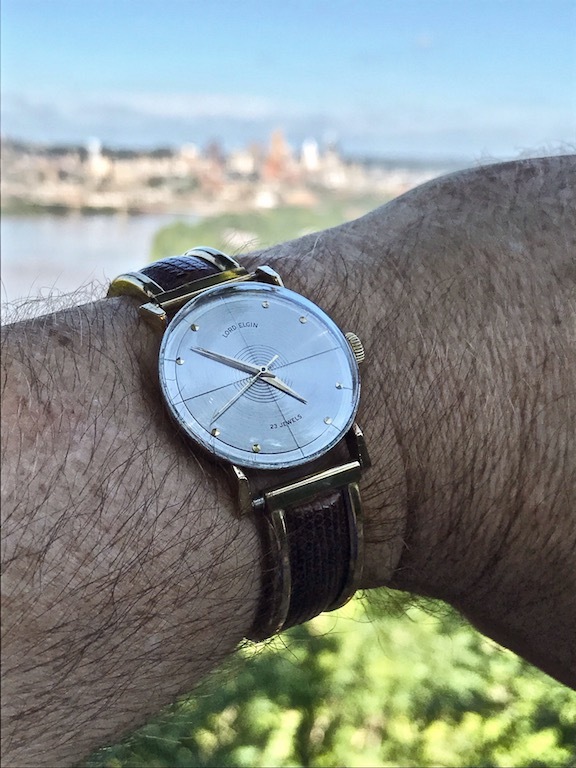 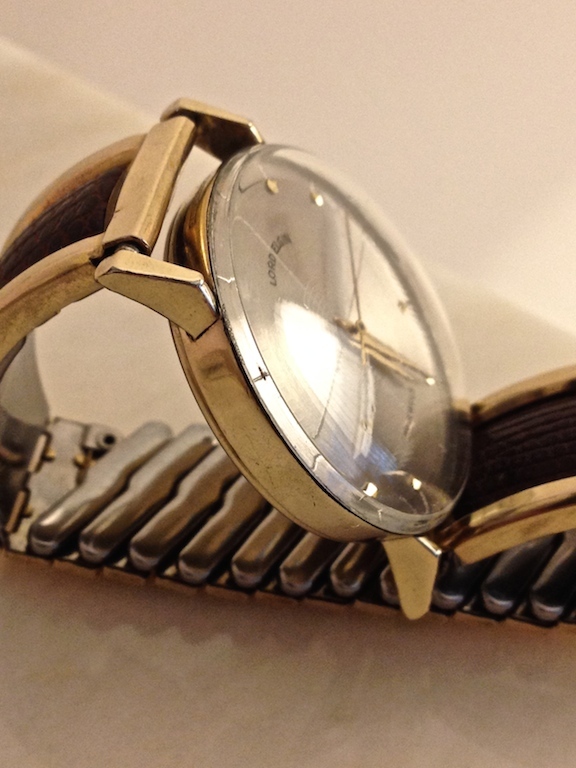 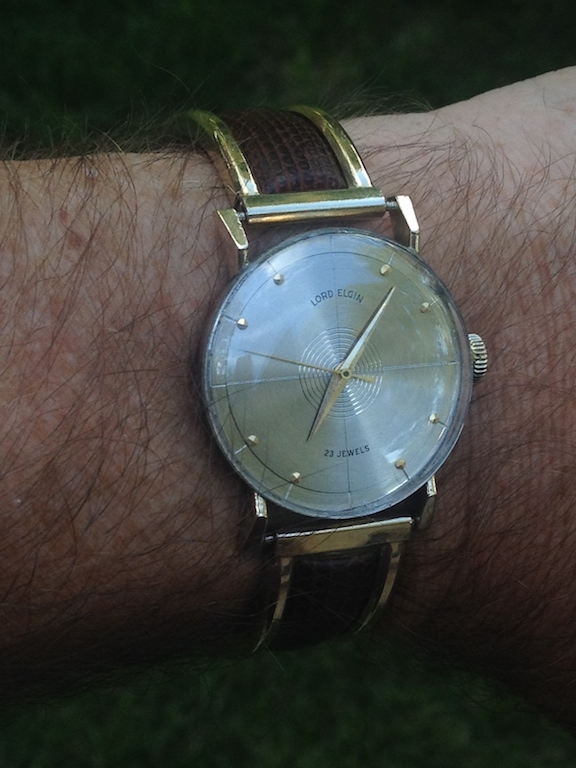 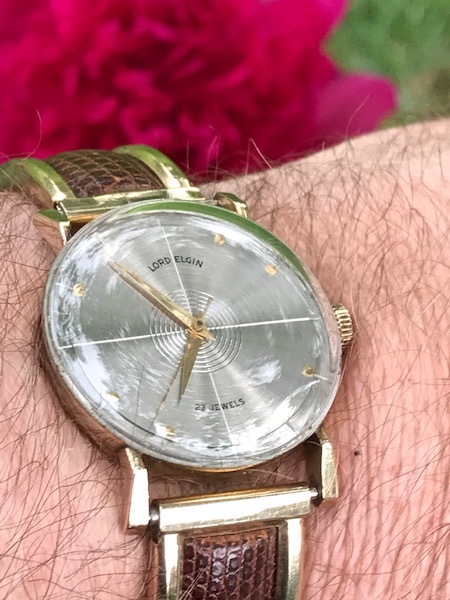 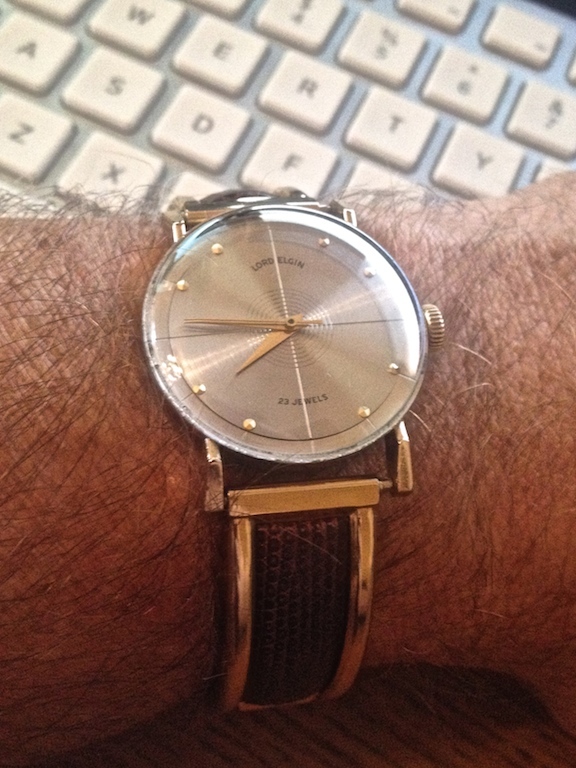 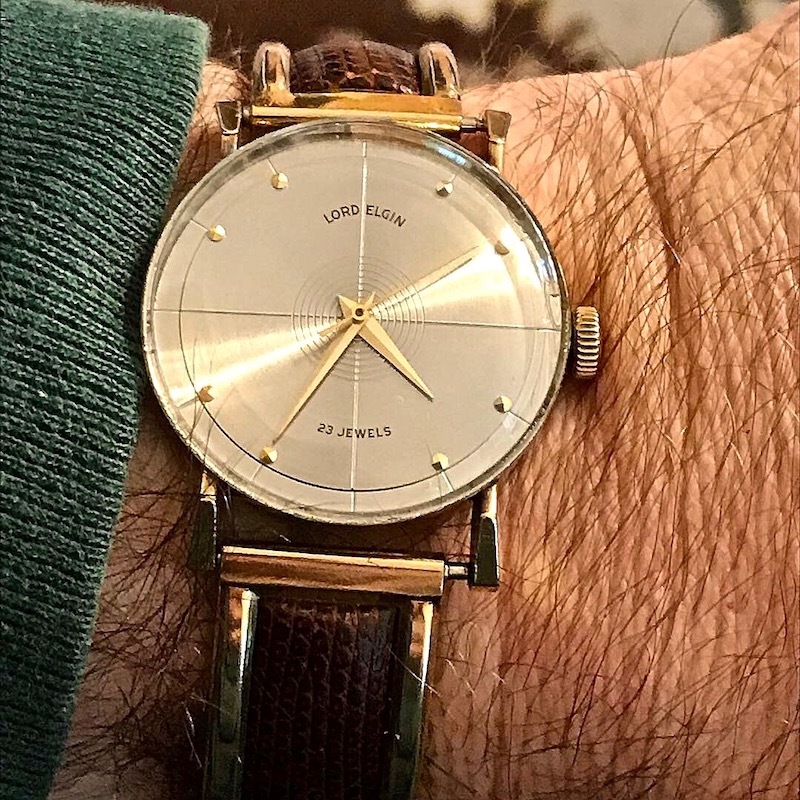 Lord Elgin Panorama | Grumpyguy Inc.
From Elgin’s Horizon Look line of watches, this one is called the Panorama. 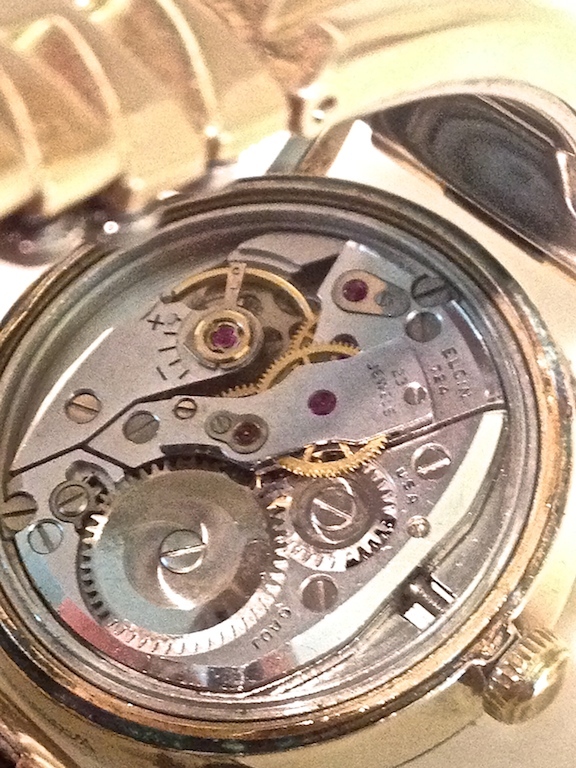 It uses the 23 jewel, 724 movement adjusted to 6 positions. 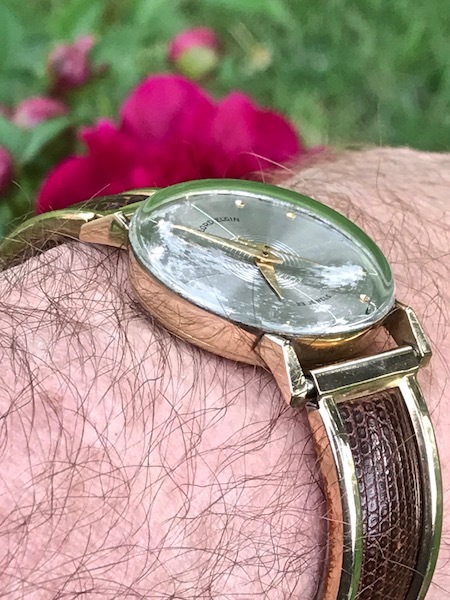 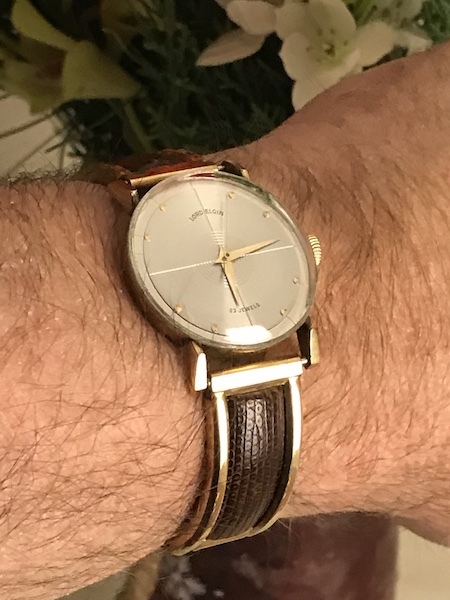 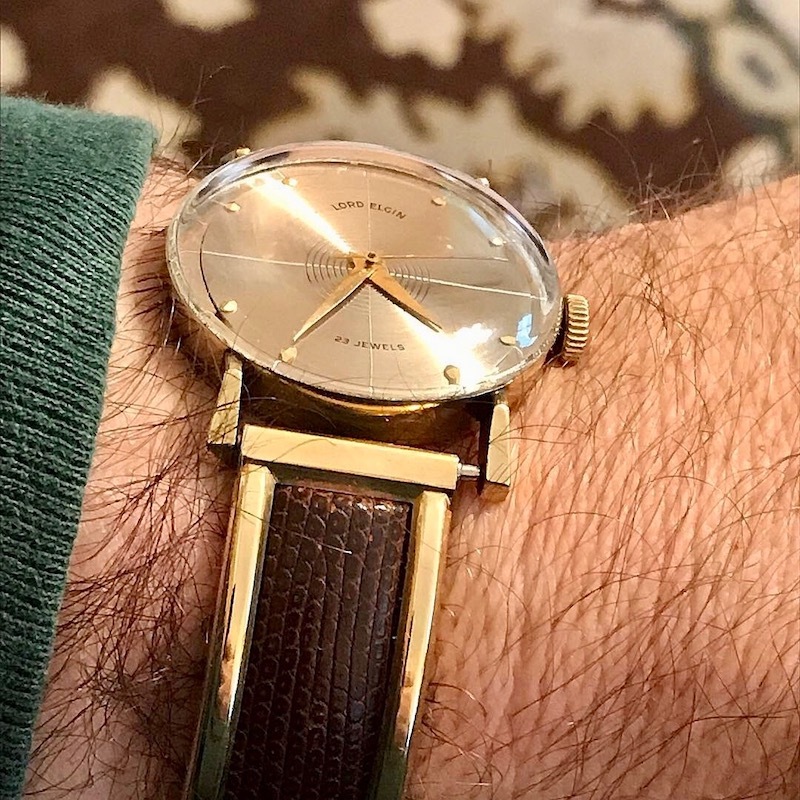 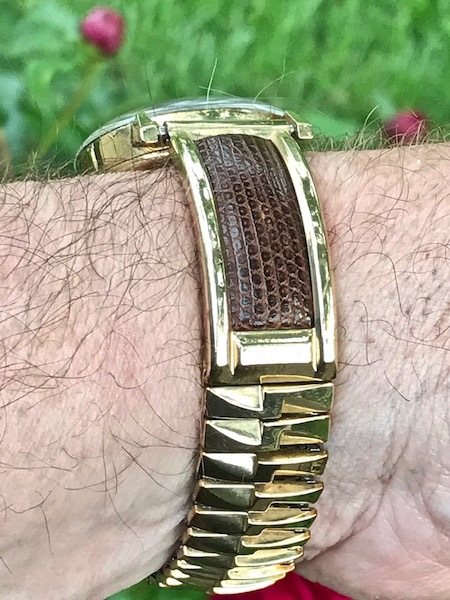 The 14K gold filled case has brassing in some areas, but overall, it looks very nice, including the dial which has just one blemish. 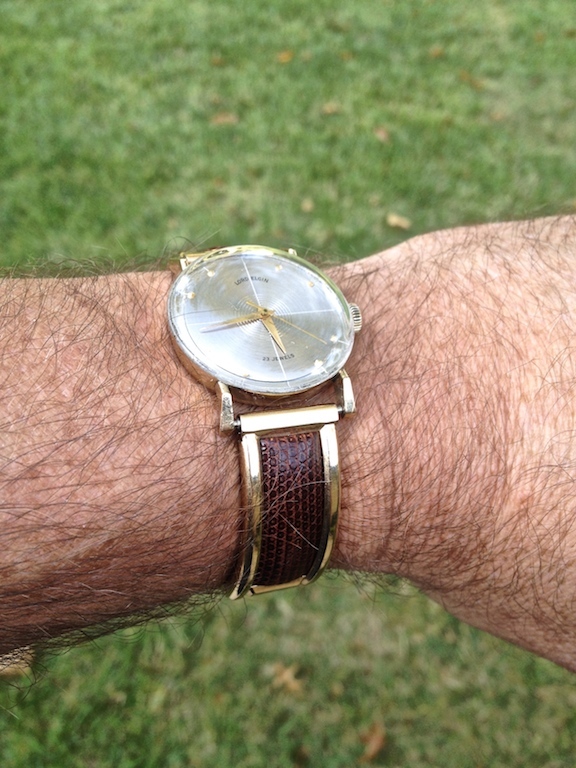 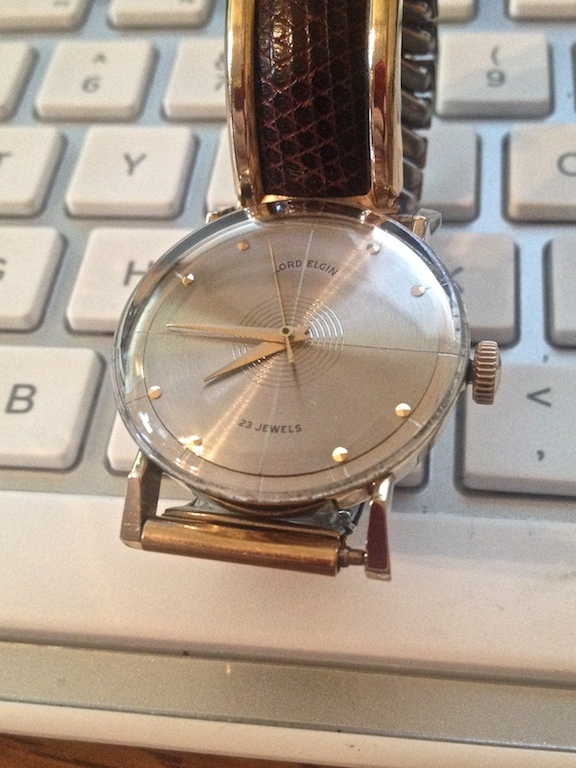 The watch arrived very dirty and some of the gunk had to be removed via metal instruments. 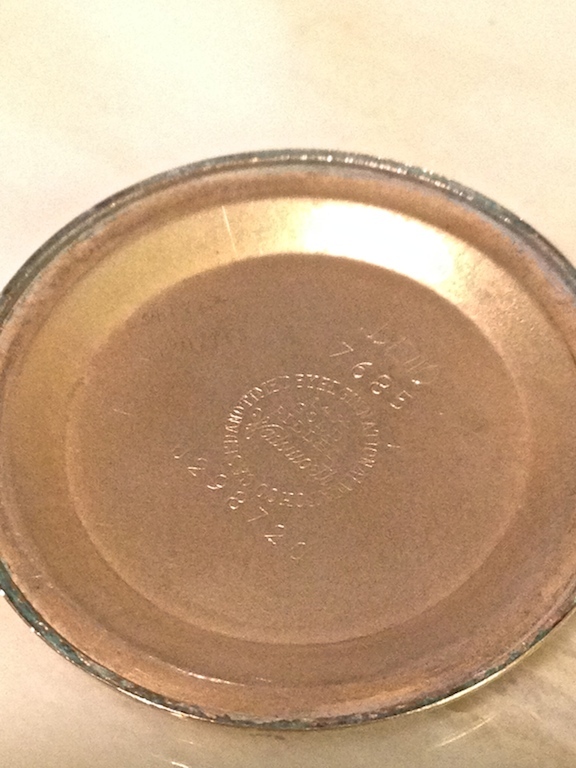 At some point , a professional cleaning is going to be needed. 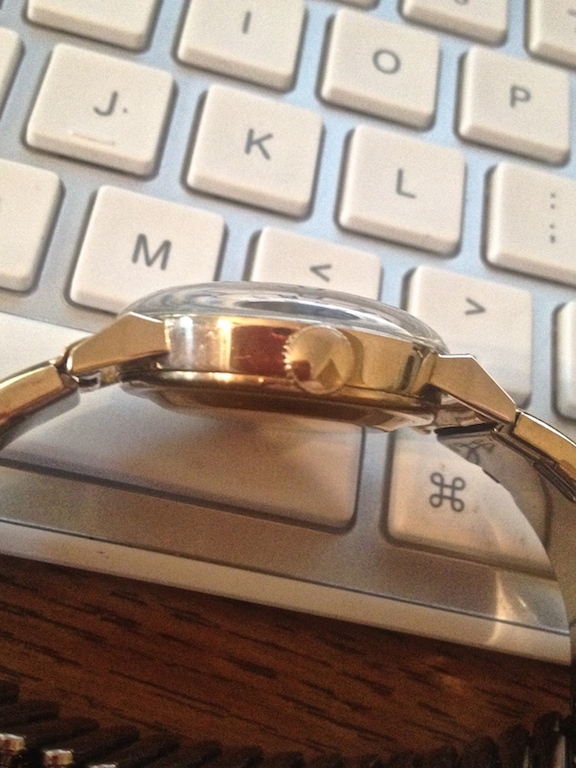 The crystal, at first seemed to be a total loss, but Polywatch and a Dremel did wonders on it. 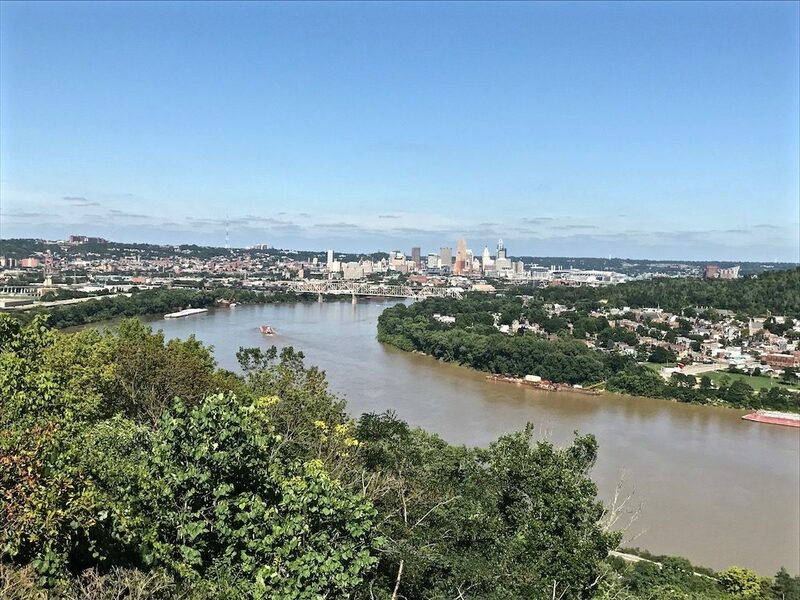 Update: I found another Panorama in better shape. 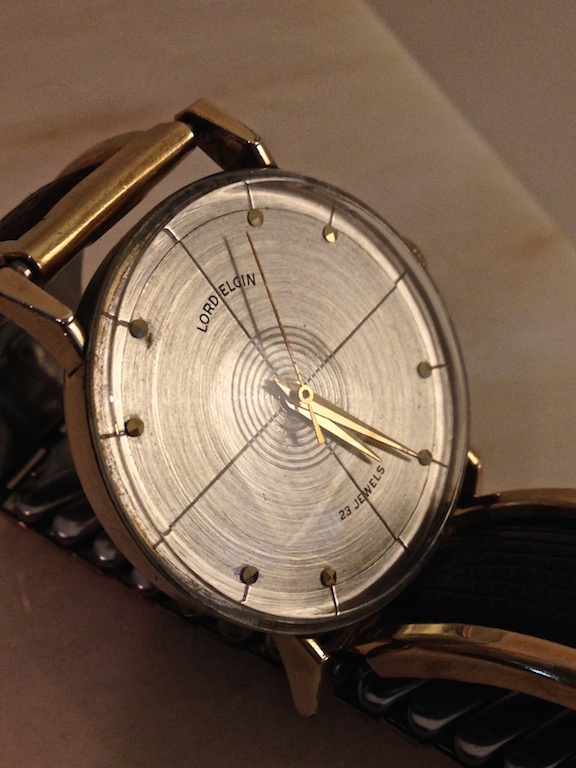 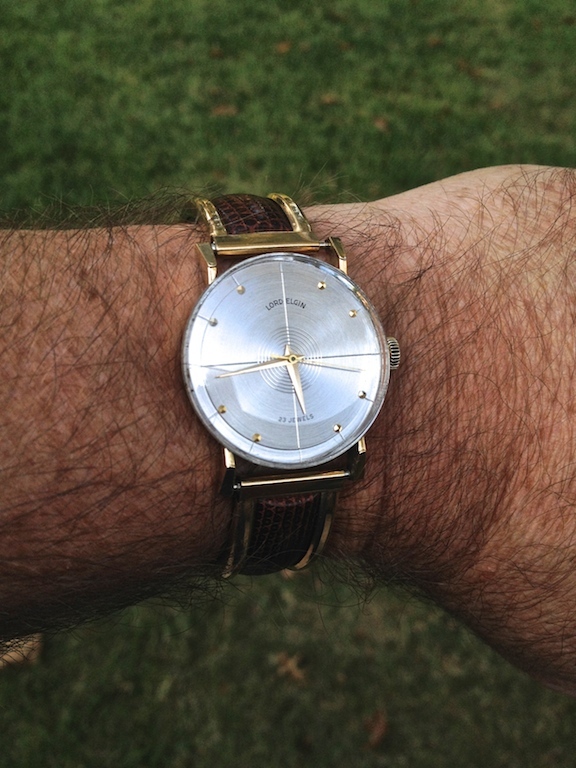 The dial is near perfect and I’d say the case has 60% less brassing. 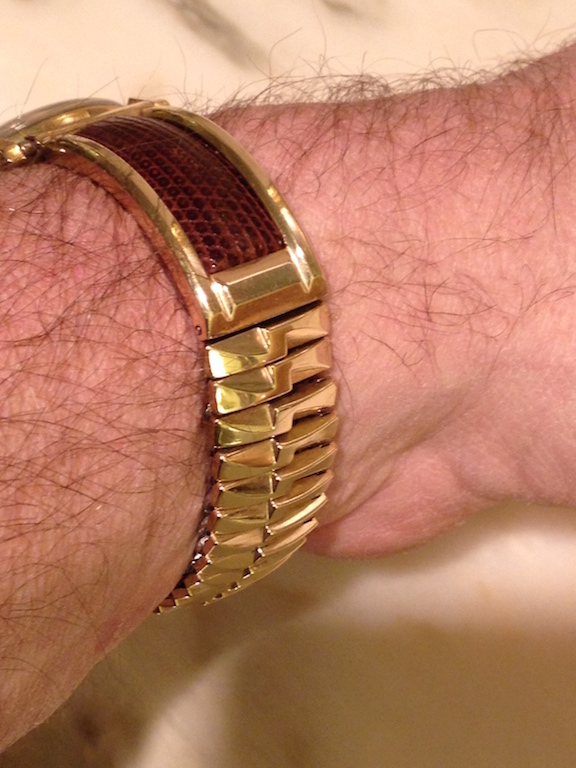 Additionally, I put on a new GS replacement crystal.